Blade length : 52.56 cm or 20.69 inches. Sori : 1.29 cm or 0.50 inches. Width at the Kissaki : 1.85 cm or 0.72 inches. Shape : This blade is rather massive Wakizashi with rather deep Sori and rather long Kissaki. Jitetsu : Very tight Ko-itame, with much Jinie attach, and Chikei attach. Hamon : Aroung Hamachi is Suguha. Upper part is Notare and Gunome mix with wide Nioikuchi. There are many Sunagashi and Ashi. This Hamon reminds us waves of sea. 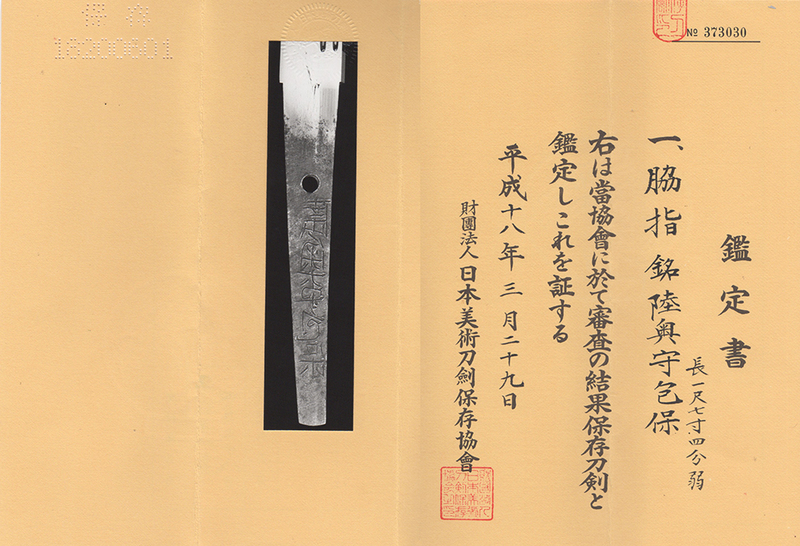 Special feature : Hidari Mutsu no kami Kaneyasu was a swordsmith in about Shoho era. (about 1644). It is thought that he was left-handedness. 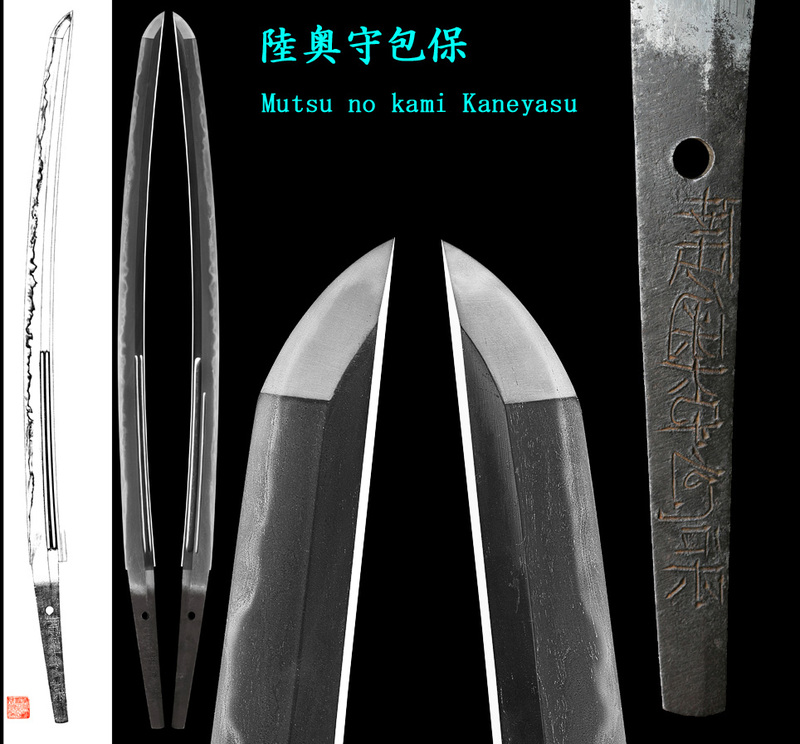 On the surface, this blade’s Hamon looks like Koto. And the blade quality is very nice. Unfortunately, there is rough skin part around 10 cm from Hamachi.